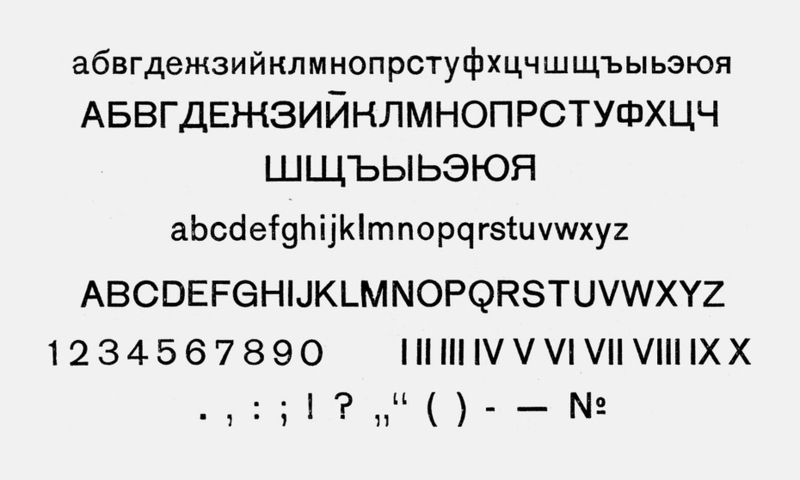 Our publication of the top ten Cyrillic typefaces last year generated great interest among our readers and remains one of the most popular articles so far. The past year, 2014, showed us that the number of Cyrillic typefaces is steadily increasing, which is generally not surprising. The Mod­ern Cyril­lic 2014 competition, for instance, received over 350 projects, which is 120 works more than five years ago. However, this positive vibe is cooled down by the fact that only a tiny part of this impressive number of fonts is entering the market for public use, while the majority of typefaces created by professionals recognised in the field, among others, remains inaccessible. This year has proved once again that the de­mand for ty­po­graph­ic know­ledge is really hot­ting up in today’s Rus­sia. The word “craze” would be just a bit of an ex­ag­ger­a­tion. The Ty­po­man­ia fest­iv­al and Serebro Nabora con­fer­en­ce are grow­ing in scope each year, while ex­ist­ing type schools have no prob­lems filling their groups and new ones are even open­ing their doors. The res­ult is an in­creas­ing num­ber of people both get­ting an idea about the pro­fes­sion of type de­sign­er and giv­ing them­selves a shot in this field. An­oth­er en­cour­aging fact is that al­most every year one more Rus­si­an-speak­ing de­sign­er gradu­ates from the Type and Me­dia course and enters the pro­fes­sion­al world. Nev­er­the­less, there is a flip­side to this suc­cess – sup­ply on the mar­ket is ex­pand­ing at a barely no­tice­able rate. Everything that ap­pears in the me­dia and is of in­terest re­mains in­ac­cess­ible to the gen­er­al user, either due to design ex­clus­iv­ity or au­thors’ un­will­ing­ness to cater for the un­tamed mass-mar­ket demo­graph­ic. Let’s try to make a pre­dic­tion. It is ob­vi­ous that de­sign­ers and foundries are go­ing to be more act­ive in of­fer­ing fonts with high-qual­ity Cyril­lic, de­signed in­de­pend­ently or in co­op­er­a­tion with the rel­ev­ant ex­perts. The tech­nic­al level of such pro­jects will un­doubtedly be very high due to the un­fold­ing battle for screen­s and users’ at­ten­tion, which is, no doubt, the most rap­idly grow­ing type mar­ket around. It is worth not­ing that Rus­si­an in­die foundries have gained some mo­mentum in the past year and, what’s more, some new ones have come on to the scene. We are look­ing for­ward to new pro­jects from do­mest­ic com­pan­ies and stu­di­os such as Brown­fox, Let­ter­head, Para­Type, Art. Lebedev Stu­dio, the newly-min­ted Con­trast Type Foundry and CSTM Fonts, along­side works from in­de­pend­ent de­sign­ers and world­wide man­u­fac­tur­ers that demon­strated a dis­tinct in­terest in Cyril­lic. Against this back­drop, de­mand will grow not only for type de­sign­ers, but also for such rare pro­fes­sion­als in the Rus­si­an-speak­ing world as font tech­ni­cians. 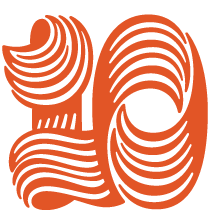 Fi­nally, here are our top 10 fa­vour­ite typefaces with Cyril­lic of 2014. The cri­ter­ia have not changed since last year: the typeface must be avail­able for pur­chase by the gen­er­al pub­lic; an­oth­er re­quire­ment is the pres­en­ce of the Cyril­lic al­pha­bet in the char­ac­ter set and, fi­nally, the re­lease date should be between 1st Janu­ary and 31st Decem­ber 2014. This time, 37 can­did­ates from 14 coun­tries were in­cluded in the long­list (last year there were 36 – such em­blem­at­ic con­sist­ency!). The ed­it­or­i­al board and ed­it­ors picked out ten of the pro­jects by vot­ing, and they are giv­en here in strict al­pha­bet­ic­al or­der. “20 ko­peek” is a di­verse typeface. Thanks to the in­geni­ous work with al­tern­at­ive char­ac­ters it is pos­sible to change the feel of the type with one click of the Styl­ist­ic Al­tern­ates but­ton. Take a look at the com­pos­i­tion of any of the 14 styles (from Thin to Black), and you will find two ver­sions of К, Ж, Я and R—curly like an Akz­idenz-Grotesk in the main set and with straight di­ag­on­als in the al­tern­at­ive one. A sidestory un­folds in the it­al­ics, where ob­lique ver­sions of the let­ters are hid­den in the ad­di­tion­al styl­ist­ic set. The type’s im­age de­pends on the ac­tions of the de­sign­er, who can make it old-fash­ioned or prag­mat­ic, re­fer­ring either to the end of the 19th cen­tury or the middle of the 20th. For clas­si­fic­a­tion lov­ers, however, it is a bit of a muddle, and any al­lu­sions to spe­cif­ic his­tor­ic­al grot­esques are noth­ing more than irony (look at the Lat­in let­ters f, g, r and y). Read­ers of Yuri Gor­don’s blog will re­mem­ber the story of how the an­ti­qua 21 Cent was cre­ated, in­spired by a com­pos­ite of late 19th–early 20th cen­tury typefaces (for ex­ample, the Cen­tury series and es­pe­cially Cen­tury School­book). The grot­esque “20 ko­peek” is a per­fectly co­or­din­ated part­ner to the afore­men­tioned an­ti­qua, and this uni­on gave birth to a font su­per­fam­ily. Both the an­ti­qua “cents” and grot­esque “ko­pecks” are co­or­din­ated in terms of weight, pro­por­tion and size, and, ac­cord­ing to the au­thor, were de­signed to be used to­geth­er. The font is com­ple­men­ted with small caps, as well as minus­cule and majus­cule num­bers, and sup­port a wide range of lan­guages. A strik­ing ex­ample of a typeface with a gentle ref­er­en­ce to an­tique Ger­man hand­writ­ing, us­ing a wide brush. An in­scrip­tion set in this typeface can be taken for let­ter­ing—the large num­ber of al­tern­at­ive char­ac­ters with swashes aids this im­pres­sion. The de­sign­er’s con­trol over black and white, as well as the whole out­line, is note­worthy. Bou­quet is re­mark­able for its dense dark col­our of type in the middle point sizes and ad­di­tion­al dec­or­a­tions such as flour­ishes if you are type­set­ting a large title. As a rule, the in­tro­duc­tion of such a typeface on the mar­ket rap­idly turns it in­to a reg­u­lar for sig­nage and pack­aging due to the ex­press­ive­ness of the names type­set in it, which im­me­di­ately turns them in­to lo­gos. It is in­ter­est­ing to com­pare it with an­oth­er ex­ample of cal­li­graphy re­thought as type—the Amalta typeface by Vera Evstafieva. They are sim­il­ar in the graph­ic­al basis, i.e. the wide-brush let­ter­ing, while their main dif­fer­en­ce con­cerns their po­ten­tial for text dur­ing fur­ther de­vel­op­ment. With Amalta, it would be the­or­et­ic­ally pos­sible with a de­crease of weight and con­trast and ad­di­tion­al char­ac­ter ad­just­ment. The lack of this, of course, is not a dis­ad­vant­age of Bou­quet, which is an artist­ic state­ment in it­self. For­mu­lar is a neo-grot­esque typeface in­spired by the util­it­ari­an 19th-cen­tury grot­esques, where ty­po­graphy ex­er­cises the power­ful func­tion of de­fa­mil­i­ar­isa­tion, cre­at­ing ten­sion between form and con­tent on a graph­ic level. Act­ively di­vid­ing them, Lorenz Brun­ner, Si­mone Koller, Ronny Hun­ger and many oth­er “Swiss” para­dox­ic­ally try to bring at­ten­tion to the con­tent, which is, per­haps, the num­ber one task for a graph­ic de­sign­er in an era that has lived through post-mod­ern­ism. The typefaces that we see in pro­jects fol­low­ing these aes­thet­ic prin­ciples are in­ter­est­ing with re­gard to the subtle “glitches” in their rhythm – some­times in­creased let­ter spa­cing, some­times the shapes of in­di­vidu­al let­ters. This new Brown­fox type fam­ily is al­most flaw­less—bal­anced in its out­lines, rhythm and op­tic­al de­tails. It dif­fers from its coun­ter­parts due to the in­vent­ive forms of cer­tain let­ters, such as M and W. (Just one de­tail makes the rhythm and “sound” quite dis­tinct­ive.) An­oth­er im­port­ant point in the struc­ture of this typeface is its pro­por­tions. For­mu­lar is easy to work with in dif­fer­ent ty­po­graph­ic­al situ­ations: it can seem light in a left-aligned com­pos­i­tion, then be­come a “wall” in jus­ti­fied text. Its char­ac­ters, pro­nouncedly pure in their geo­metry (tend­ing to­wards squares and circles), knit the line tightly to­geth­er, while the ex­tremely short as­cend­ers make it pos­sible to bridge between lines in para­graphs as tightly as pos­sible without los­ing air and the rhythm in­side. This makes it a ver­sat­ile tool, for ex­ample, in in­ter­faces and on web pages (a large ad­vant­age of the type fam­ily is the avail­ab­il­ity of a screen ver­sion). It meets the chal­lenges of titles, notes, menu items, stand­firsts and pull quotes equally con­vin­cingly. One of the most not­able fresh ex­amples is the edu­ca­tion­al pro­ject Ar­za­mas, where For­mu­lar is coun­ter­poin­ted by the Lava typeface. It is worth not­ing that For­mu­lar is equipped with minus­cule and tab­u­lar fig­ures, case-sens­it­ive punc­tu­ation, frac­tions, su­per­script and sub­script char­ac­ters, and styl­ist­ic al­tern­at­ives for a num­ber of let­ters. At first, the new sans-serif Ger­be­ra seems to refer to works by Ed­ward John­ston, Eric Gill, Paul Ren­ner and Arno Dres­cher, as well as mod­ern typefaces such as Eu­c­lid (Swis­sTypefaces) or Brown (Lineto). It is pos­sible to spend a long time en­thu­si­ast­ic­ally com­par­ing them, but what we see in Ger­be­ra is not only the geo­metry of Fu­tura and the flex­ible forms from the Arts and Crafts move­ment era, but also the shad­ow of Ro­ger Ex­cof­fon and his grot­esque An­tique Olive (for some reas­on, not as pop­u­lar today as the oth­ers lis­ted above). However, this may be an op­tic­al il­lu­sion be­cause of just one subtle de­tail, namely the small amount of re­verse con­trast in the char­ac­ters to which Ger­be­ra owes its spe­cif­ic rhythm. This Brown­fox typeface de­serves at­tent­ive ex­am­in­a­tion: the ex­ag­ger­atedly vari­able-width cap­it­als look sol­emn and book­ish, the re­verse con­trast is im­ple­men­ted with fili­gree pre­ci­sion, and the op­tion­al styl­ist­ic re­place­ments (lower­case a, up­per­case Q) sud­denly change the char­ac­ter of a word when used. Nev­er­the­less, you can­not help but ask why a sans-serif so ap­par­ently close to hu­man­ist­ic typefaces is lack­ing a double-storey g, at least as an al­tern­at­ive form, but, on the oth­er hand, this in­con­sist­en­cy gives Ger­be­ra a cer­tain charm. On the sur­face, the Glober typeface does not seem ex­cep­tion­al com­pared to a num­ber of open nar­row sans-serifs, and the ra­di­uses of the curves at­tached to stroke end­ings look even some­what forced in places. But then you no­tice the ovals and half-ovals: made with skill, they shape the char­ac­ter of the typeface, and this is what changes our im­pres­sion of Glober’s ap­pear­ance. The ovals are “warm”, not mech­an­ic­al: the shapes of the let­ters o and e are pre­cise and force all the oth­er char­ac­ters to fol­low their ex­ample, cre­at­ing a range of flex­ible feel­ing in a seem­ingly un­soph­ist­ic­ated and stat­ic typeface mod­el. This bal­anced type fam­ily is re­mark­able for its 18 styles—from nar­row to ul­tra­bold, in­clud­ing ob­liques. Im­port­antly, there is an on-screen ver­sion of Glober, which makes it a ver­sat­ile tool for mo­bile ap­plic­a­tion de­ve­lopers and web de­sign­ers. This type fam­ily was the win­ner of the Mod­ern Cyril­lic 2014 com­pet­i­tion in the Text Typefaces cat­egory. Iden­titet, de­signed by Nikola Djurek, Are­bica de­signed by Nikola Djurek with Has­an Abu Afash, Rus­si­an Cyril­lic de­signed by Ilya Ruder­man. Thanks to Robert Čanak for help with Are­bica, Amra Zulfikarpašić for help with Bosančica (Croa­tian Cyril­lic). Nikola Djurek’s type pro­jects of are of­ten as­so­ci­ated with an ex­per­i­ment, be it tech­no­lo­gic­al or lin­guist­ic. Iden­titet turned out to be a bold new in­vest­ig­a­tion in­to in­cor­por­at­ing the sev­er­al scripts that have his­tor­ic­ally been used (and still are) in the Balkans in­to one type sys­tem. This is a very high bar to reach, as the chosen scripts are drastic­ally dif­fer­ent in the graph­ic­al im­age of their char­ac­ters. With­in the Iden­titet fam­ily, Glagolit­ic script (in three styles—from an ac­cur­ate his­tor­ic­al re­con­struc­tion of an an­cient “an­gu­lar” Glagolit­ic to a more mod­ern roun­ded one), Bos­ni­an Cyril­lic, Rus­si­an Cyril­lic, Are­bica (a vari­ant of the Ar­ab­ic al­pha­bet for the Bos­ni­an lan­guage) and Lat­in all have a com­mon line thick­ness, ident­ic­al x-height and up­per ­case height, etc. This con­cerns all the de­tails, mak­ing it pos­sible to achieve unity with­in the sys­tem. Iden­titet is a land­mark pro­ject for a mod­ern world that has em­braced glob­al­isa­tion with its in­stant ac­cess to any in­form­a­tion, which, in its turn, re­quires trans­la­tion and graph­ic dis­play on bil­lions of mo­bile devices. Nikola Djurek has done some ser­i­ous re­search and art work—suf­fice to say, for ex­ample, that the au­thor has cre­ated new graph­emes in the “round” Glagolit­ic script for sounds in the mod­ern Ser­bi­an lan­guage that did not ex­ist in an­cient times. Journ­al Sans (its text ver­sion—there was also a style set for large-size com­pos­i­tion, see Cata­logue of Hand-set and Ma­chine-set Typefaces, Mo­scow, 1966) was de­signed by Anato­ly Shchukin and his col­leagues from the De­part­ment of Mov­able Types at the Poly­graph­mash In­sti­tute in 1940-1956. Ex­am­in­a­tion of the first di­git­al ver­sion of Journ­al Sans, cre­ated by Para­Graph in its in­fancy, iden­ti­fied a num­ber of prob­lems in its out­lines, let­ter spa­cing and kern­ing. They all have been elim­in­ated thanks to the ef­forts of de­sign­ers Maria Selezeneva, Al­ex­an­dra Korolkova and Ol­exa Volochay, but that is not even the most im­port­ant thing. It is a known fact that the typeface ly­ing at the heart of Journ­al Sans is Erbar-Grotesk (Jakob Erbar, Lud­wig & May­er, 1929)—its pro­por­tions, geo­met­ric­al struc­ture and range of styles are all sim­il­ar. This up­date of Journ­al Sans in­cludes sub­stan­tial re­vi­sion and re­fine­ment of char­ac­ters that ex­is­ted in met­al form dur­ing So­viet times: many let­ter­forms have been sim­pli­fied and their ori­gin­al ver­sions (к and ж, for ex­ample) are hid­den in the Open­Type fea­tures set. These very ac­tions have brought Erbar-Grotesk and Journ­al Sans Serif to­geth­er again. In ad­di­tion, the range of styles has been ex­pan­ded: prop­er it­al­ics (rather than an ob­lique style) has ap­peared, as well as two head­er styles. It would seem that Journ­al Sans New is no longer re­min­is­cent of So­viet magazines like “Sci­en­ce and Life” filed away be­hind pol­ished brown cab­in­et doors, and is a power­ful tool for con­tem­por­ary design work. And yet, if you still want to in­dulge in a little nos­tal­gia, you can al­ways use the al­tern­at­ive tri­an­gu­lar л and д, which will im­me­di­ately change the type’s “age”. Many de­sign­ers have en­vi­sioned a Cyril­lic Gotham, and Stem seems a ser­i­ous at­tempt to ful­fil this dream. But the fea­ture that really sets this typeface apart, ex­cept for its visu­al fea­tures, is the it­al­ics. While the up­right style tries to main­tain a cer­tain ri­gid­ity and re­straint, the use of it­al­ics rather than the ex­pec­ted slanted let­ter­forms no­tice­ably soften its im­age to be­come more friendly and ac­com­mod­at­ing. Twelve styles, from ex­tra-nar­row to bold, in­clude it­al­ics, small caps, dif­fer­ent styl­ist­ic sets for num­bers, al­tern­at­ive forms of char­ac­ters (a, к, ж)—and this is only the first part of a pro­ject de­signed for large-size dis­play type­set­ting. Ac­cord­ing to the au­thors, the re­lease of new typefaces for text com­pos­i­tion, in­clud­ing cap­tion styles, is on the ho­ri­zon. Trans­la­tion: Jon Re­illy, Sofya Mamaeva.